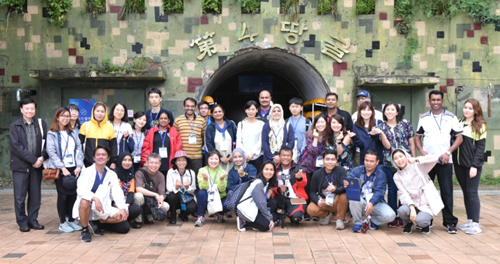 The Asia-Pacific Centre of Education for International Understanding (APCEIU) is a UNESCO-affiliated institution sponsored by the Korean government to provide training and research on education for international understanding and also Global Citizenship Education in the Asia-Pacific region. It has been existing since 2000, and HURIGHTS OSAKA has been collaborating with it since that time. Before 2000, HURIGHTS OSAKA worked since 1997 with the Korean National Commission for UNESCO, which established the Asian Centre of Education for International Understanding or ACEIU (later changed to APCEIU). 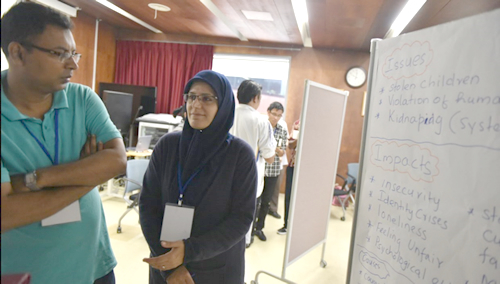 On 22-27 July 2017, Jeff Plantilla participated in the 17th Asia-Pacific Training Workshop on EIU (Education for International Understanding) held in Korea by APCEIU with 28 participants from Central (Kazakhstan and Iran), South (Bangladesh, Bhutan, India, Maldives, Pakistan and Sri Lanka), Southeast (Cambodia, Indonesia, Laos, Malaysia, Philippines, Singapore, Thailand), and Northeast (China, Japan, Korea, Mongolia) Asia and Pacific (Cook Islands and Fiji). They work at various levels (policy - Ministry of Education officers, National Commission for UNESCO; curriculum development; teacher education and school officials and teachers). During the reflection period after sessions, a number of participants expressed the hope of doing human rights education activities in their programs. In the action plans, several participants mentioned human rights as one of the themes in their planned activities. 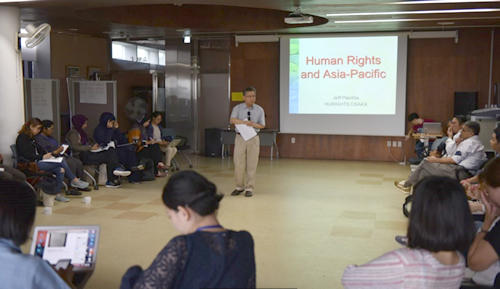 The participants appreciated the contextualized discussion of human rights as well as the reference to historical and cultural resources of Asia-Pacific in understanding human rights principles. The session on human rights led to correction as well as addition of information on Jeff’s presentation on culture and human rights. Many participants provided the corrections and additions that improved the content of the presentation. 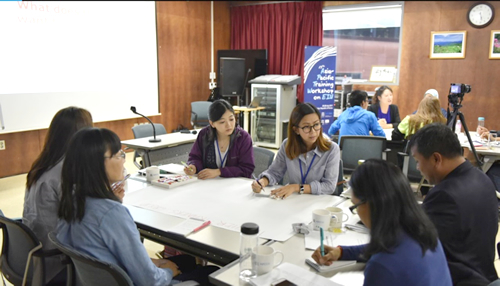 Jeff’s participation in this training program helps in HURIGHTS OSAKA’s regional program in promoting human rights through the training of educators in the Asia-Pacific.